Have you ever wondered if it was possible to manipulate the default color of text, that is changing it from the traditional black to another color? 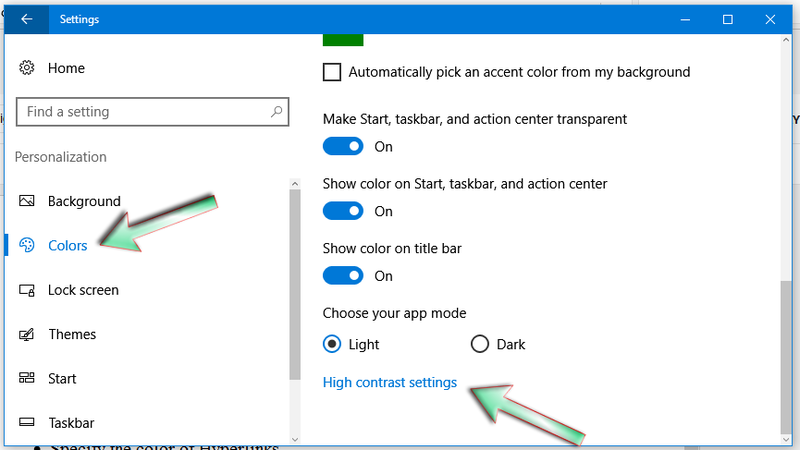 To be able to possess the will power of changing the background color of the default Windows 10 application and to even be able to specify how button color should appear? If yes, then High Contrast is what you need to master to control. 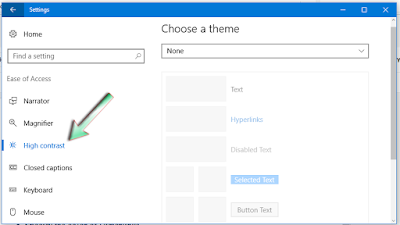 The High Contrast feature of Windows 10 Anniversary Update is a feature which Microsoft included to help their Windows 10 user have full customization control over the OS. Specify the color of default text. 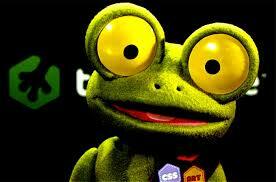 Specify the color of Hyperlinks. How disabled button should look like instead of being grayed. How the color of selected text should be. 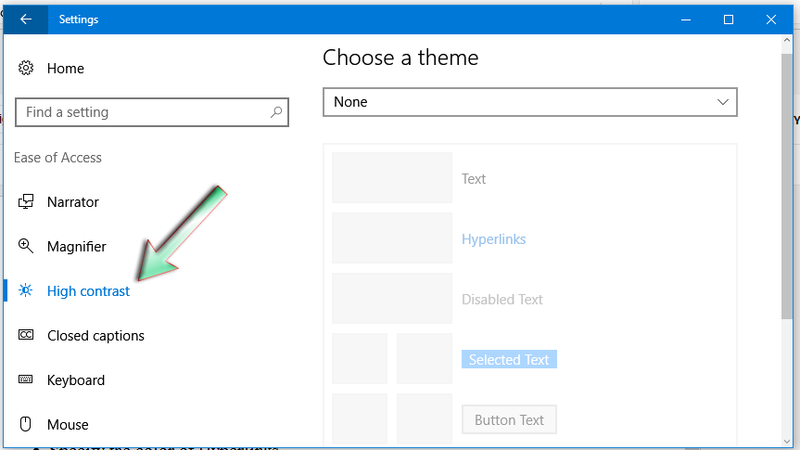 What the background color of Windows 10 application should be instead of white. And also to specify the color buttons. Press Ctrl+I in your keyboard. 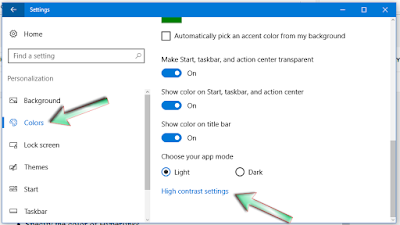 Scroll down and click on High contrast settings link, and then select High Contrast in the left section. Customize The Title Bar, Start, Taskbar and Action Center Color | Windows 10 Anniversary Update.